How could a country that was 90 percent Catholic “disappear” Catholic priests and seminarians? The Catholic Church and Argentina's Dirty Warby Gustavo Morello, S.J. The book review editor at this magazine called with an assignment. 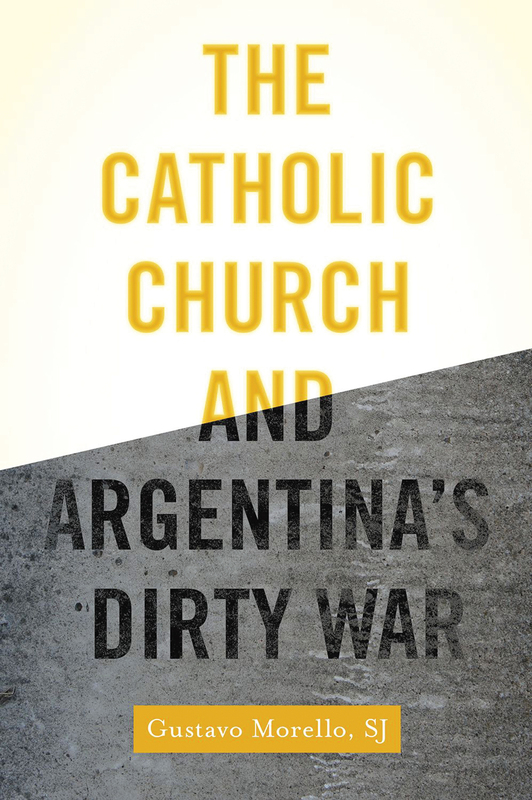 I’d like you to review a book about the Catholic Church and Argentina’s dirty war, he said. I had read with interest the coverage of Jorge Mario Bergoglio’s election to the papacy and was looking forward to a book, written by a Jesuit, about what had happened when Pope Francis was the Jesuit provincial in Buenos Aires. There had been some accusations, most of them disputed in the end by the priests involved, that their superior had been less than supportive when the junta’s men came for them. I have spent 40 years working as a journalist, much of it as an editor, trying to convince writers that they should “show” what happened rather then “tell” it. It requires a keen appreciation of detail, a relentless curiosity and an unslakeable thirst for truth. It also helps to be gifted with an ability to imagine a scene after having interviewed enough sources to make sure what you are showing really happened. We want it to be true. Because he did a prodigious amount of research, however, the work by Gustavo Morello, S.J., should not be dismissed out of hand. Now a professor at Boston College, he has written a scholarly text examining the kidnapping, torture and release of a North American priest and five Latin American seminarians who were part of the Congregation of La Salette, a French order that had been working in Córdoba, Argentina, since the 1950s. Morello seeks to understand how a country that was nominally 90 percent Catholic could “disappear” Catholic priests and seminarians. Fundamental to his analysis is the realization that the church in Argentina could be divided into three parts. The anti-secular group of Catholics held the power and were behind the torture and disappearance of other Catholics. This group, Morello says, believed that Pope John XXIII and Pope Paul VI had betrayed their faith. These power brokers wanted nothing to do with the Second Vatican Council, nothing to do with encyclicals like “Populorum Progressio,” which said developing the poorest people was the work of the church, and nothing to do with the conference of Latin American bishops at Medellín, Colombia, in September 1968, that stated that the church should have “a preferential option for the poor.” This antisecular group believed any priest or religious who worked with the poor was a subversive. As proof, after they raided the house where the seminarians lived, the interrogators questioned why the seminarians had books by Karl Marx and Enrique Dussel. The fact that they asked about Dussel, an Argentine philosopher aligned with liberation theology, Morello finds telling. It shows, he says, an above-average familiarity with Latin American philosophy and theology. The third group, to which the La Salettes belonged, Morello calls “committed” Catholics, whose work and identification with the poor resulted in their victimization. It is clear from Morello’s research that if the priest who lived with the seminarians, James “Santiago” Weeks, had not been a U.S. citizen, their disappearance could well have ended in a ditch, a fate suffered by more than 100 Catholic “religious workers.” On the August night in 1976 when the La Salettes were taken, a North American nun, Joan McCarthy, had been visiting. The soldiers did not quite know what to do with this woman and let her go on the promise she would leave Córdoba within 48 hours. She made her way back to the United States and rallied support for the release of the kidnapped seminarians. The story of what happened to these people that night and for months after is laid out in scholarly fashion here. Every quotation taken from interviews with the people involved is printed in italic type. Every fact is cited in parentheses at the end of a sentence, interrupting the reader’s train of thought. It is not journalism, and it was not written as such. I fear, though, that this book will sit on library shelves waiting for the next scholar to find an interest in one of the names mentioned. The story of these Catholics and their courage in the face of evil deserves an account that does more showing than telling. This article also appeared in print, under the headline "A Time of Disappearances ," in the April 4-11, 2016 issue. Tom Curran is former associate editor of The Newark Star Ledger.